Marki doublers offer excellent conversion efficiency across broad bandwidths, with good fundamental and odd harmonic suppression. 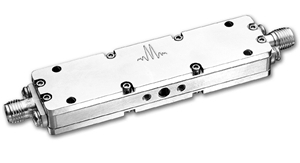 They are constructed using silicon Schottky diodes, ideal for low phase noise applications. As with all multipliers and mixers, it is important to drive doublers with the recommended drive level.